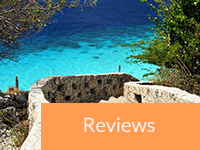 Shore diving is what put the quiet Dutch Caribbean island of Bonaire on the map. A lush fringing reef, calm crystal-clear water and abundant sea life come together to create a relaxed and rewarding experience for scuba divers at every skill level. And while you can enjoy all the pristine goodness from the back of a dive boat, there’s something truly liberating about diving from shore. 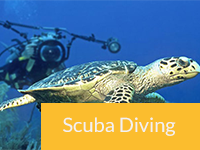 Of course, having a little insider knowledge never hurts when planning the perfect shore diving excursion. We’ve put together some easy tips to help make the most of your Bonaire shore diving experience – before and after you get here. Dive in and get ready for some unforgettable scuba diving in this idyllic paradise. There’s a reason Bonaire is consistently ranked as the Best Shore Diving Destination in the Caribbean! The pristine reefs are home to abundant marine life and thriving corals, all thanks to the tireless preservation work of the Bonaire National Marine Park. They work hard to ensure the longevity of our underwater world, and that includes a few basic rules before you hit the water. 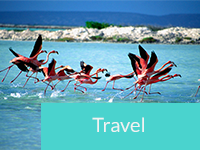 Every diver must purchase a Bonaire Marine Park tag. These are available at every dive shop on the island, and must be purchased before your first dive. For just $25 (cash only), your tag is good for an entire calendar year and gives you full access to all the dive sites, plus free admission to the Washington Slagbaii National Park. Attend a marine park orientation. Offered by your dive shop, this short and mandatory presentation introduces you to the Marine Park & covers the basic rules for divers. You must attend the orientation before your first dive. Grab your tanks and go! Rent a truck, grab some tanks and hit the open road. 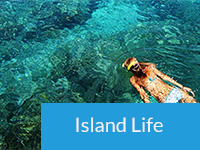 You’ll find marked shore diving sites all along the island’s calm West Coast. You’ll recognize them by the bright yellow stones marking each site. Shore diving is always more fun when you have some insider information. 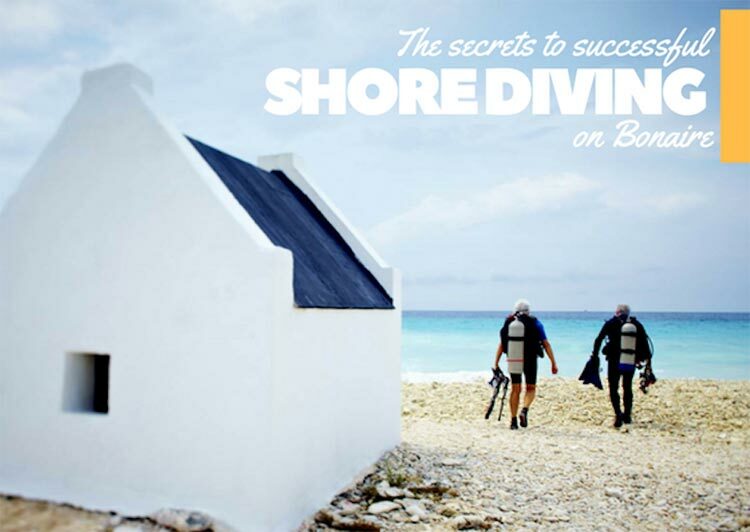 Here are a few things to do to make the most of your shore diving experience. Head south. For your first few shore dives, the marked sites to the south of downtown Kralendijk offer easy access and navigation. They feature gentle sloping sandy entries with minimal rocky areas. As you get more comfortable with entry/exit and underwater navigation, you can hit up the more challenging sites to the north where you’ll find rugged cliffs and limited entry/exit points. Assess the entry/exit. Before you gear up, spend a few minutes checking out the entry area and water conditions. Look for natural gaps in the coastline, where sandy paths make for easier entries. Also watch the water. While usually calm, occasionally there are small waves that break on the West Coast. Remember that waves come in sets of three, so studying their pattern can help you time a relaxed entry. Set up your gear. This works the same as on a dive boat, with one BIG exception. Never, ever, ever leave your dive gear & tank standing on the tailgate of your rental truck! Strong trade winds and the top-heavy nature of your gear when attached to a tank is the perfect recipe for your gear & tank to crash upside-down on the rocky ground. Nothing kills a dive faster than damaging your first-stage before you’ve even got your wetsuit on. Instead of diving, you’ll be heading back to town in search of a repair shop. That’s no fun. Trust us. We’ve all learned this one the hard way. Put on your gear. Go ahead and put on your wetsuit, BCD and hard-soled dive booties, then inflate your BCD. Put your mask around your neck or on your face. Don’t put your open-heel fins on quite yet! It is safest to slide the straps over your wrist during entry/exit. Why? In case you stumble (which happens even to the most experienced shore divers), your hands will be free. Dropped fins (and masks) easily get lost in the surf, and that really puts a damper on your planned dive. Put on your fins & swim to the buoy. Once you’re in the water and safely out of any breaking waves, put on your fins, adjust your mask and get ready to dive. You can do a surface swim or start your dive close to shore – your choice. The dive site buoys offer great navigational points above or below the water. Keep an eye on the current below water by observing the soft corals and fish behavior. Remember to begin your dive heading in to the current and return to your starting point with the current. Look for underwater navigation markers. Some sites have dive buoys which offer excellent reference points for the start and end of your dive. 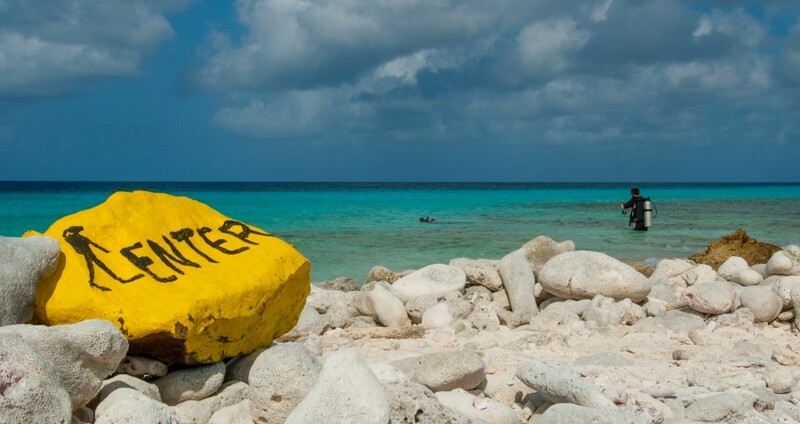 If you’ve chosen a site with no buoy, then look for a memorable underwater marker like an unusual coral formation or other natural landmark. Make note of your depth and the time, then start your dive. Turn around at half-tank. Once you’ve reached one-half tank of air, note the time and turn around. Slowly ascend along the way until you reach the depth of your navigation marker. If the current is noticeable, it will take less time to return to your navigation point. For example, if you spent 30 minutes heading into the current, it will likely take only 20 minutes or less to get back to your starting point. Find your navigation marker again. Once you find the marker you noted at the start of your dive, ensure you observe a three-minute safety stop at 15 feet. Can’t find your marker? Don’t panic! Simply ascend to 15 feet and complete your safety stop, then you or your dive buddy can slowly pop to the surface and scan the shoreline to find your truck. Be sure to check for nearby boat traffic before you surface. Exit the water. Inflate your BCD and remove your fins. If you are in shallow water, be careful not to step on any coral. Slip your fins over your wrist and exit the water at a suitable spot. This is a great time to rely on your dive buddy for help with balance and stability. Be mindful of any incoming waves. Should you see waves bearing down, stand sideways to the wave with your knees slightly bent to absorb the shock of the wave. Exit after the wave has passed. High five and grab a cold drink! You did it. A successful Bonaire shore dive is in the books. That was easy and fun, wasn’t it?! Bonaire is beautiful, above water and below. Of course, just like anywhere else, common sense and awareness go a long way toward making sure you have a great time. One concern that shore divers have is the safety of their vehicle while they’re under water. To that end, we encourage you to never leave anything valuable in your rental vehicle. This includes iPhones, cameras, wallets, handbags and the like. Only bring what you don’t mind losing, as petty theft can and does happen on occasion. Also, to avoid temptation, never lock your rental vehicle when you’re diving. Locked doors are a sign to would-be troublemakers that you just might have something valuable inside. Nobody wants to return from a dive and find a shattered window waiting for them. 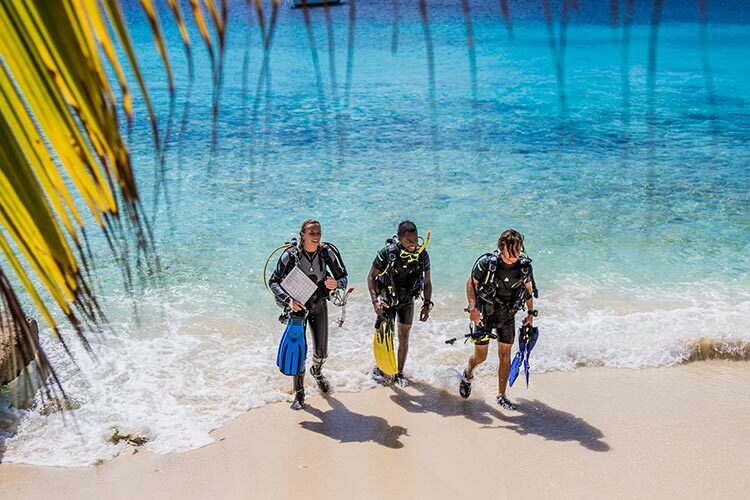 If you’re ready to embrace the independence of shore diving, you may also want to sign up for the PADI Shore Diving Specialty Course with your dive shop. A local instructor will show you the ropes and help you build the confidence to be a smart, safe independent shore diver. Also, be sure to check out this interactive dive site map. Click on any buoy and get up-to-date information on site accessibility, difficulty rating and what you might see there. One last tip…have fun and enjoy your time underwater! 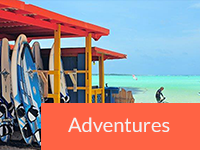 Ready to book your Bonaire Shore Diving trip? I snorkel instead. Do I need a tag from dive shop to snorkel from shore? Fill a 2 liter bottle with water and leave it on your dashboard in the sun. Instant fresh water rinse when you are done! Remember where you put your car keys!!! 8 Time Bonaire visitor. Nowadays, because it’s usually a key FOB, you can’t dive with it, so, when shore diving, you have to hide it somewhere. I typically hid keys under a coral/rock near car. But once, after a week of diving, I forgot which piece of coral, and we literally looked for it for over 2 hrs. We then flagged down a car (that took a while, too, because not much traffic around there! ), got a ride back to our hotel, got extra set of keys, got driven back to dive site, and wouldn’t ya know it, I found the original keys on my last chance look around! My dive buddy was pissed! So make a plan – always hide it in front of car near largest rock, or something like that! Or if the hood can be opened from outside, put it in the engine compartment. Or bring a magnetic box thing to put beneath the car or in a wheel well. Just don’t F up like I did. Ruined the day! Of course, the worst day on Bonaire is still better than a day at work back home!